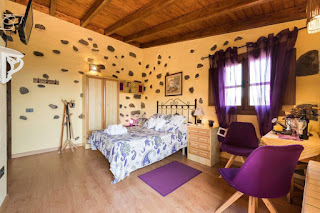 Best AirBnB in Gran Canaria? 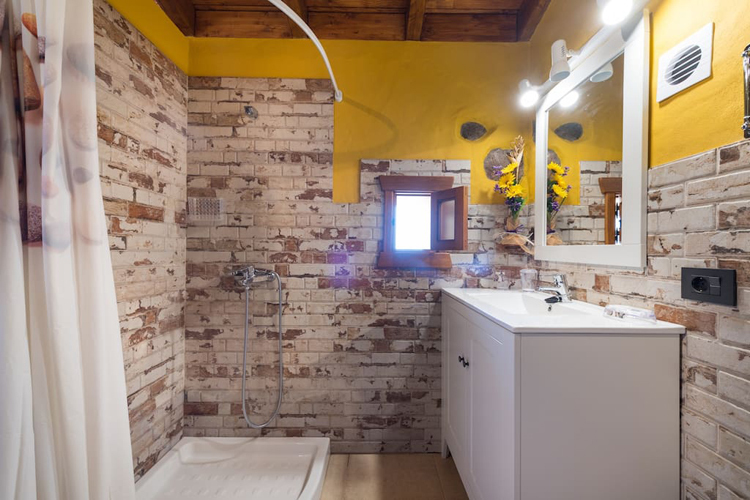 - Review of a quirky home in Moya. Sometimes I get lazy when it comes to writing blog posts. Plus I don't want you to get bored of my dulcet writing tones all the time. So occasionally I'm going to enlist my girlfriend Jess to write a little guest post for me. This is one of those occasions. 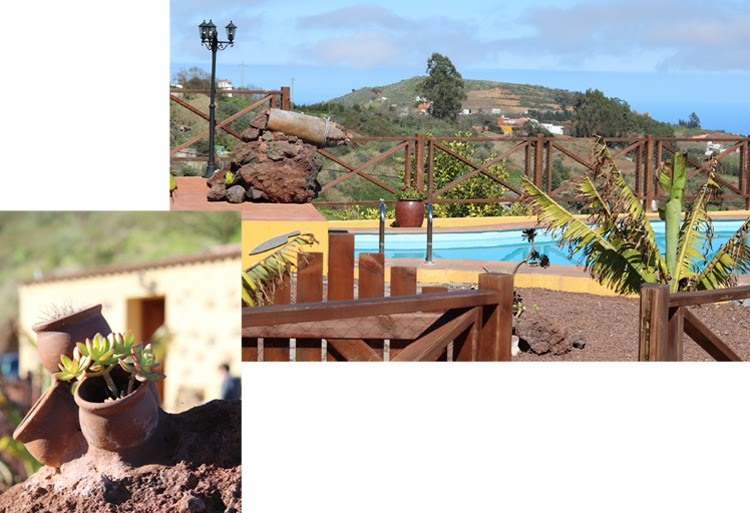 Here's her review of the AirBnB in which we recently stayed in Moya, Gran Canaria. We finally tried AirBnB. Only like 3 years behind everyone else but hey we caught up in the end. 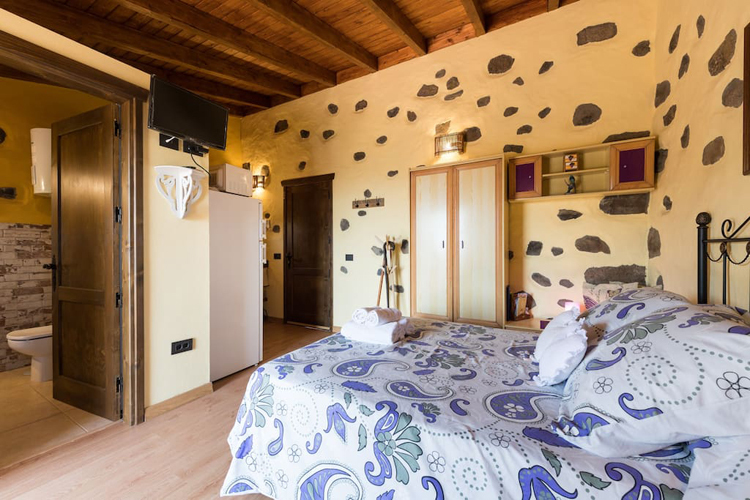 I was absolutely besotted with this adorable miniature villa Cal and I visited in rural Gran Canaria so I thought I'd give you all a quick review incase you were interested in staying there (or just fancied a nosy at some of the pictures). Admittedly we had a bit of a bad start to the holiday with a very tense drive in the pitch dark to find the place. As our little hire car chugged its way up steep, twisty and narrow mountain roads - deep into the middle of nowhere - several heated arguments broke out. Mainly caused by my nervous commentary that was generally along the lines of "This is how horror movies start!" The situation didn't improve when we arrived at our apartment and realised that all the small local shops closed long before we got there. Obviously we hadn't made the sensible decision to stop at any of the bigger supermarkets we passed on the motorway and there wasn't a chance in we were going to venture back down the mountain roads in the dark. Cue major hanger tantrums from a certain someone (me). Eventually we did find a wee restaurant, got ourselves a takeaway and went to sleep full of doubt about what on earth we'd gotten ourselves in to. Our scepticism was proved totally unnecessary when we woke up next morning and properly saw, in day light, where we were. Turns out this AirBnB was pretty darn special. Finca Naturacanaria is slightly off the beaten track. Set high in the volcanic mountains, accessible only via windy mountain roads and steep farm tracks, it is definitely not a spot for the faint hearted driver. 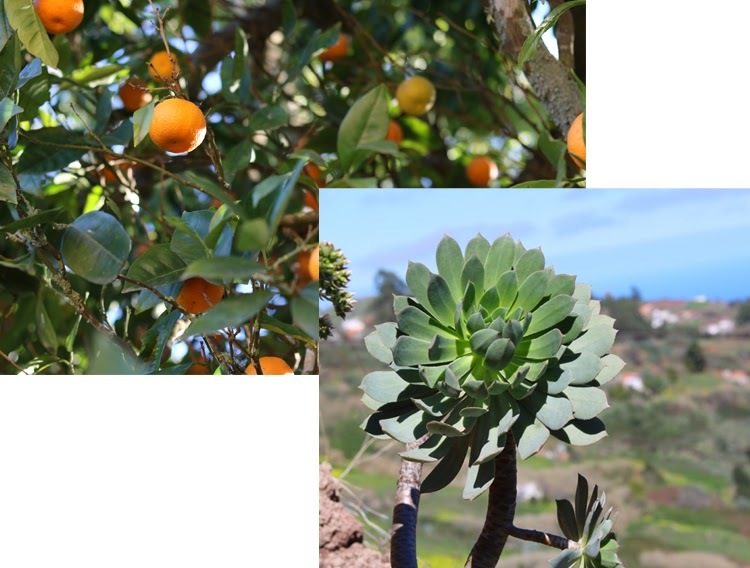 If you can brave the drive, though, it is absolutely worth it for a glimpse at real, rural Gran Canaria as opposed to the flashy Benidorm-esque tourist traps often misassociated with this beautiful island. Expect stunning panoramic views and incredible green mountain terrain. This is a perfect vacation spot if you're looking for a peaceful escape from your busy life. Carmen was everything you could hope for in an AirBnB host. She was warm and friendly and thought of everything. We were greeted with a bottle of Cava and some snacks on arrival which was just perfect. Meeting was easy, Carmen gave us clear instructions before our trip and sent us Whatsapps as a method of contact incase our mobile data didn't work. She was also very flexible about our arrival time, though it said between 12-2pm on the site she was absolutely fine about us arriving at 8pm because of our later flight time. The apartment itself is a tiny stand alone studio villa (best way I can describe it) in a gated property which contains about 4 apartments/villas in total. It sits next to the pool which is on a raised platform area while the other apartments are located further down the driveway making the studio feel very secluded and private. It is cosy, comfortable and peaceful with lots of lovely outdoor areas to relax, eat and enjoy the sun. Our favourite was the seating area which built in to a small cave in the rock behind the apartment. So we could do some work on our laptops in the shade while enjoying the insane views. The interior of the studio apartment/villa wasn't decorated in the usual sleek modern minimal style I'm in to but we loved it all the same. It was very rustic and homey which fit in perfectly with the style of the building and surroundings. Lots of pretty details made this a very cosy home for our time in Gran Canaria. The layout of room was very well thought out considering this is only a small building - it had a tardis effect and we never felt we were short on space. Our apartment in the Finca had everything we needed for our short 6 day break. The kitchen was fully equipped with everything from a toastie maker to a coffee percolator. 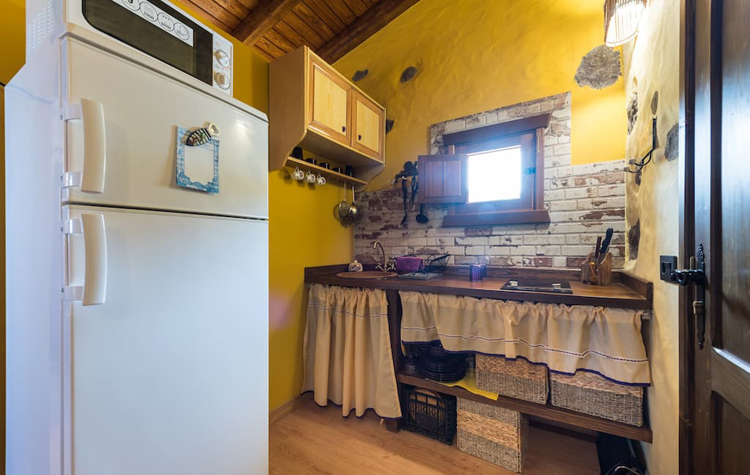 It is worth noting that since the kitchen is so teeny it only has a 2 ring hob and no oven so if you'll be cooking your own meals keep that in mind (there's a microwave too). We just ate a lot of one pot pasta dishes and risottos. Since there are several villas/apartments on the property there are some great communal facilities like a laundry room and of course the swimming pool. Unfortunately since it's not a heated pool this was too cold to use when we were there in January but I'm sure it would be lovely in the warmer seasons. A stay here will set you back £53 a night all year round. A very reasonable price compared to a stay in a hotel. However, after a quick comparison of a few of the other similar properties available in Gran Canaria, I think it just a little high considering the size of the property and the fact that it is pretty far from the main attractions. A more reasonable price would be around £40 - £45 per night especially during the slightly colder months when the swimming pool isn't really useable. 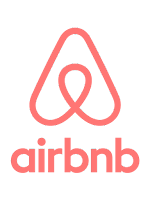 For full Ts&Cs check out AirBnBs website HERE." Yes my girlfriend is a crazy cat lady in training. Hope you enjoyed her first guest post! Until next time.